With the March 24 ICTY decision condemning Former Bosnian Serb leader Radovan Karadzic for war crimes, exactly 17 years after NATO began its bombing spree on Serbia, international criminal justice revealed itself once again as an instrument of US and NATO foreign policy. Justice Belied, The Unbalanced Scales of International Criminal Justice provides essential background to understand how the whole international criminal law movement, of which the International Criminal Tribunal for Yugoslavia is a part, has in fact undermined international criminal law. The late Michael Mandel did groundbreaking work on the question, particularly with his 2004 book, How America Gets Away With Murder: Illegal Wars, Collateral Damage and Crimes against Humanity. David Jacobs knew him well. 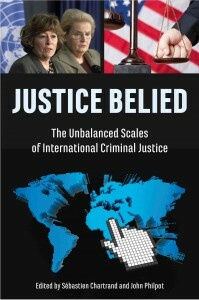 Following is an excerpt from David Jacobs’s important contribution to Justice Belied, entitled “How the International Criminal LawMovement Undermined International Law— Michael Mandel’s Groundbreaking Analyses.” Read that article and more in Justice Belied, The Unbalanced Scales of International Criminal Justice, edited by Sébastien Chartrand and John Philpot. The only rational assumptions are that international criminal law will be firmly subordinated to power, that impunity will be a perk of economic and military hegemony, and that the usual suspects will continue to be rounded up while America gets away with murder. 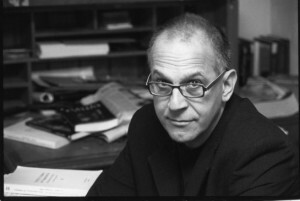 Michael surgically eviscerated the foundational pretensions of the international criminal law movement in works such as his 2004 publication, How America Gets Away With Murder: Illegal Wars, Collateral Damage And Crimes Against Humanity. Michael’s view was that the old, anti-war order of international law, which recognised the sovereign equality of nations and anathematised unilateral aggressive war, had to be overthrown to legitimise the “new world order” crystallising after the end of the Cold War. The new order was characterised by the desire of the United States to violently and unilaterally impose “regime change” on governments it held in contempt. This new order needed legal sanction, and the international criminal law movement obliged by fatally undermining the old order governed by the UN Charter and the Nuremberg Principles. Michael’s argument, made with unassailable logic, is that given the context of NATO’s illegal attack on Yugoslavia in 1999, the International Criminal Tribunal for the Former Yugoslavia (the “flagship” post-Nuremberg tribunal first promoted by the movement), in turning a blind eye to the illegality of the attack, had no option but to become implicated in “the overthrow of international law and the UN Charter’s fundamental principles.” Thus the ICTY (and by extension the International Criminal Court and the ad hoc tribunals such as the International Criminal Tribunal for Rwanda) had to fashion a “substitute legality” in the form of the current face of international criminal law promoted by the international criminal law movement. [T]he equality of states and the prohibition of the use of force in international relations. Violence is only permissible when authorized by the Security Council… The only permissible unilateral use of military force is the strictly limited right of self-defence, temporarily available until the Security Council can deal with the situation. ‘Humanitarian intervention’ by military force finds no place in the Charter of the United Nations, because for the generation who wrote the Charter the ‘scourge’ was war betweenstates, the violation of national sovereignty that was Nuremberg’s ‘supreme crime’… The notion of a ‘humanitarian war’ would have rang in the ears of the drafters of the UN Charter as nothing short of Hitlerian, because it was precisely the justification used by Hitler himself for the invasion of Poland six years earlier. Neither Security Council authorization nor self-defence was even claimed by NATO as justification for the use of force… The preamble of the NATO Treaty (1949) states that the signers of this document are attesting to their commitment to the premises of the United Nations Charter as well as their resolve to live amicably with all human beings. (…) To purchase Justice Belied, click here. Speakers’ notes, Michael Mandel, unpublished, 2001. Michael Mandel, How America Gets Away With Murder, supra, fn. 1, p. 233. Michael Mandel, “The Legal Institutions of the New World Order: ‘Might Makes Right’ and the International Criminal Tribunal for the Former Yugoslavia,” in Gordana Yovanovich, ed., The New World Order: Corporate Agenda and Parallel Reality, McGill-Queen’s University Press, Montréal, 2003, p. 72. Criminal Court versus the Charter of the United Nations in Costituzione Economia Globalizzazione, Edizioni Scientifiche Italiane, Napoli, 2013, p. 1379. Michael Mandel, “The Legal Institutions of the New World Order,” supra, fn. 6. Michael Mandel, How America Gets Away With Murder, supra, fn. 1, p. 6. Michael Mandel, How America Gets Away With Murder, supra, fn. 1, p. 113. See Michael Mandel, R2P & ICC v. UNC: The Responsibility to Protect and the International Criminal Court versus the Charter of the United Nations, pp. 1379-1391. Michael Mandel, “The Legal Institutions of the New World Order,” supra, fn. 6, p. 75.